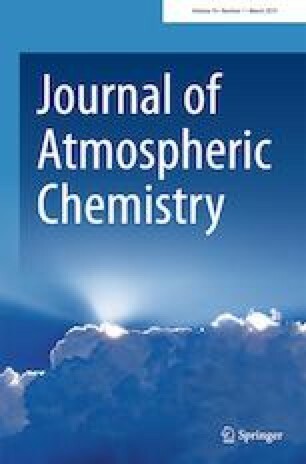 This study presents a yearlong data set of 28 medium-chain functionalised carboxylic acids (C5 to C10) in atmospheric aerosol particles (PM10) from a German rural measurement station, which is analysed to obtain seasonal trends and evidences for possible sources of these rarely studied compounds. The analysed carboxylic acids were divided into four main groups: (I) functionalised aliphatic monocarboxylic acids, (II) functionalised aromatic monocarboxylic acids, (III) non-functionalised and functionalised aliphatic dicarboxylic acids, and (IV) aromatic dicarboxylic acids. A concentration maximum in summer was observed for aliphatic carboxylic acids, indicating mainly photochemical formation processes. For example, the highest mean summer concentrations were observed for 4-oxopentanoic acid (4.1 ng m−3) in group I and for adipic acid (10.3 ng m−3) in group III. In contrast, a concentration maximum in winter occurred for aromatic carboxylic acids, hinting at anthropogenic sources like residential heating. The highest mean winter concentrations were observed for 4-hydroxybenzoic acid (2.4 ng m−3) in group II and for phthalic acid (5.8 ng m−3) in group IV. For the annual mean concentrations, highest values were found for adipic acid and 4-oxopimelic acids with 7.8 ng m−3 and 6.1 ng m−3, respectively. The concentrations of oxodicarboxylic acids exceeded those of their corresponding unsubstituted form. Accordingly, straight-chain dicarboxylic acids might act as precursor compounds for their respective oxygenated forms. Similarly, unsubstituted monocarboxylic acids are possible precursors for functionalised aliphatic monocarboxylic acids. The present study contributes to the speciation of organic content on a molecular level of atmospheric particles, as well as giving hints for possible sources for these carboxylic acids. The online version of this article ( https://doi.org/10.1007/s10874-019-09390-5) contains supplementary material, which is available to authorized users. This work was supported by the German Research Foundation (DFG) under contract HE 3086/11-1. The authors would like to thank Gerald Spindler and Konrad Müller for providing data of OC and EC concentrations as well as concentrations of water-soluble ions, respectively. Moreover, we thank Laura Frank for language correction. The work of the technical staff in the laboratories of TROPOS is also acknowledged.